Our Ash Bluestone Cobblestone is cut from the densest blocks to ensure strength and durability enough to use on high traffic areas or on driveways. With its slight olive colour, these cobbles have an earthy colour tone. Ash Cobblestone pavers create an elegant, old-world look that combines attractive charm with extremely robust and flexible properties. Being a brick pattern and flamed surface with split edges creates a beautiful timeless look. 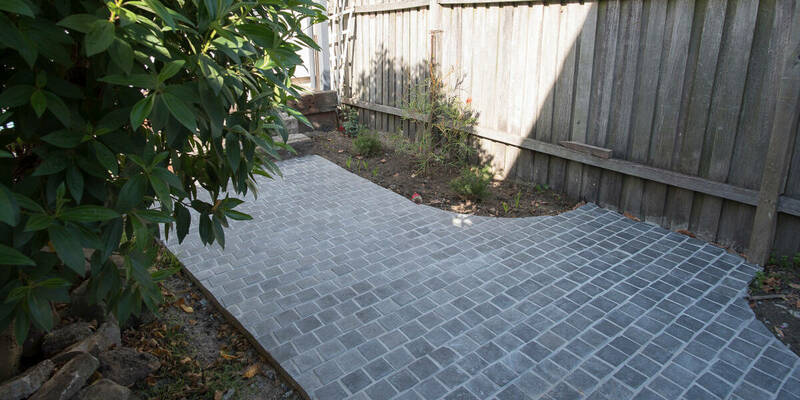 This cobblestone come supplied with a mesh backing, which makes it easy and cost-effective to install.